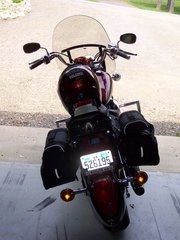 I have a friend who talks about how riding her 1300 VSTAR is a part of her PASSIONATE worship to the Lord. When I first met her and heard her make this statement, in front of hundreds of people ,it resonated in my soul and I remember shouting, “ Woohoo! Woohoo! Someone else gets me!!!!!! !” It seemed like I was the only one who was coming up out of the chair at her words and that was okay. Well, today, the day after Thanksgiving 2012, I felt the pull to ride. Yes, it’s cool, but not too cool to ride. It’s been a long week with a lot of things going on-pulled here and there mentally, physically and spiritually. A week of prayer requests, ministry, sickness, holidays and praises to God for all that He is doing and wants to do! Sometimes these things can make you feel dried up, worn out and just spent. I was feeling the need to “get in the wind” and worship! I have this ribbon fetish going on. 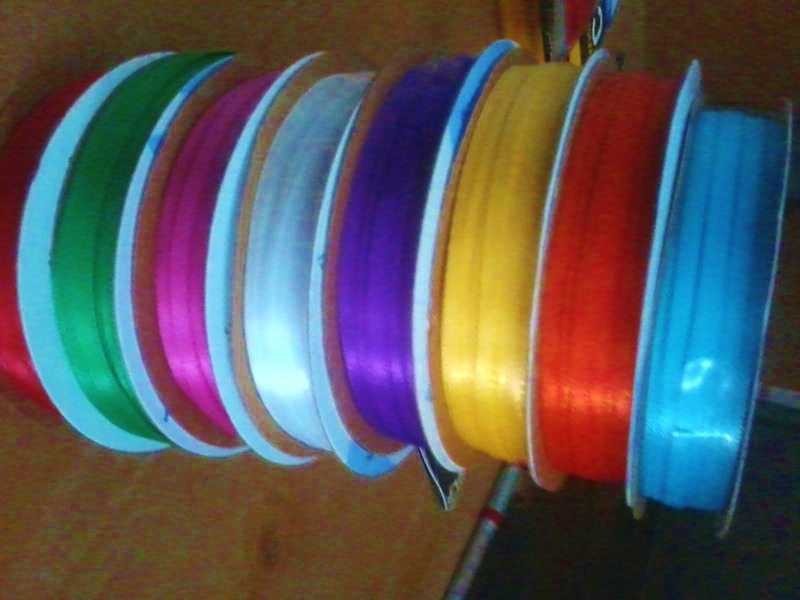 I have every color of ribbon you can think of and I took a generous length of all the colors and tied them in a bunch. Then I tied that to my motorcycle handlebar. I know, weird, right? Well, here’s the thing…the colors remind me of who God wants me to be. He gave us the fruits of the Spirit and in each one I see a color. So I say, let the Holy Spirit guide your lives. But the Holy Spirit produces this kind of fruit in our lives: love, joy, peace, patience, kindness, goodness, faithfulness, 23 gentleness, and self-control. I identify the ribbon with the Holy Spirit and the color with fruit. Well- when you get in the wind the ribbon goes everywhere-flitting here, then there, and tying itself up in knots! As I rode and watched the ribbon flipping around and winding itself around the handlebars I was reminded that this is how God wants me to be. He wants me to relax and let the Spirit flow freely- just like this ribbon was doing. When we operate in the Spirit it changes things around us-it changes people, situations and relationships. When we choose to put on love instead of hate the world sees WHO God is and how tenderhearted He is. When we choose joy over despair we gain strength in the Lord for scripture says , ‘ the JOY of the Lord is my strength.” ( Nehemiah 8:10) When we choose to lean into Christ in our desperate times we will experience a joy unspeakable deep within us. It is really unexplainable. You just know that God is there-taking care of you and He will walk you through it. We aren’t promised an easy road but we are promised help along the way. The Holy Spirit is our helper. “But I will send you the Advocate[b]—the Spirit of truth. What is an advocate? A friend, a counselor, an encourager. Someone who is there for you, a good friend. When we get down to the nuts and bolts of life-the pieces that hold it all together are really not our friends, but THE Friend, the Holy Spirit and our relationship with God. We need to be so entwined around God that we can’t tell one from the other. I saw that in my little ribbon ride. At times the ribbon was twirling and dancing around in the wind like a little funnel. The force of the wind in the moment was creating all the colors to cling to one another. This is what we are to do when we are in a funnel of change cling tightly to our Creator-hang on for life! When we know who lives in us and how much we are loved then things change inside of us and the way we react to our situation at hand has the ability to shift the atmosphere around us. When we choose to see life over death and to speak life and light into the world with the words we use, then things begin to collide in the atmosphere around us, causing discouragement and death to break up and be replaced by life and love. We are called to edify, to build up and encourage one another. The faster I drove the more the ribbons whipped around. 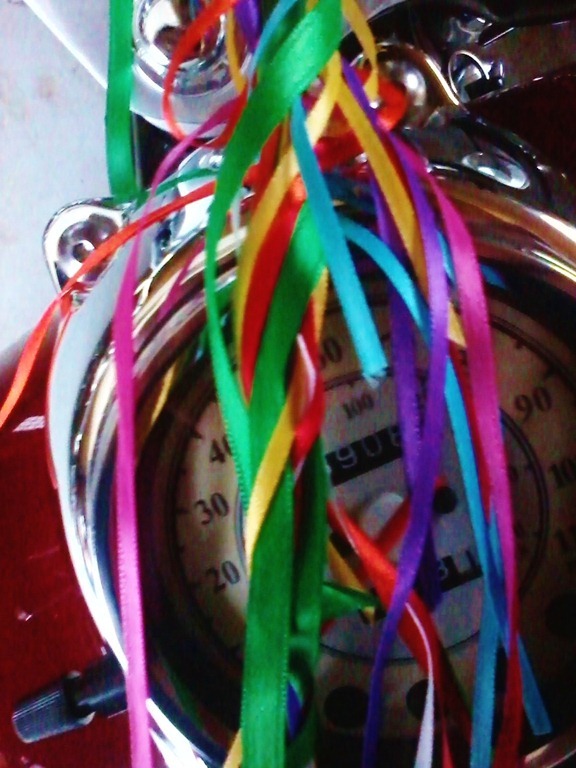 At one point one of the ribbons came “undone” and flipped off into the wind-leaving a deposit of color behind. Whoever finds it will probably wonder, ‘ how did this get here?” Hahahahaha! It was that crazy preacher lady riding in the wind again! In that moment I realized that when I live and move and operate under the power of the HS that I, too, will leave behind a deposit of supernatural love, life and truth. I want to be “undone” for Christ ! That only made me want to undo all the ribbons and let them fly away-but did I? No. I was too selfish. I hung onto them. Another lesson. We cannot hang onto the Holy Spirit-it was given to us to GIVE AWAY to others. If we cling too tight-we crush the Spirit. We must let go of our selfishness and let the Spirit flow in and out as He would-not as we would. Letting go means being FLEXIBLE. Flexibility requires bending and moving in the wind-like an old oak tree swaying in a storm. We must also be pliable, moist and ready to move at a moment’s notice. I’m learning, however I have a long way to go yet! It’s a process of moving closer to the Lord every day. We pray for eyes to see and ears and to hear and then we must not let anything distract us and sometimes we must get into the wind and let the Spirit blow on us ( and on our ribbons) in order to see and hear again. I thank my God for His mysterious ways and for speaking to me through the colors of ribbon and the wind of life. Let me encourage you today to go buy some ribbon-not just any ribbon-but ribbon that is the color of the rainbow. 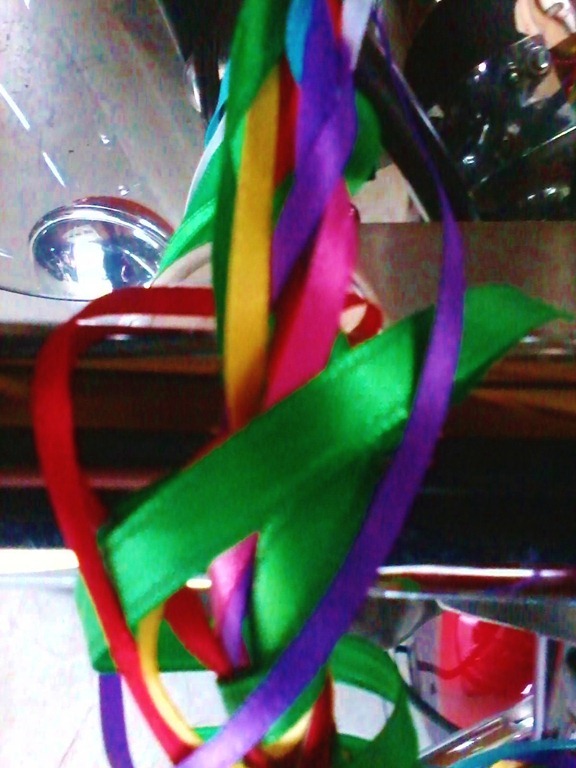 Tie yourself a bunch together as a reminder of the colorful God we serve-the God of life and light and sound and color. THIS is what He wants us to live in- the colors of life. 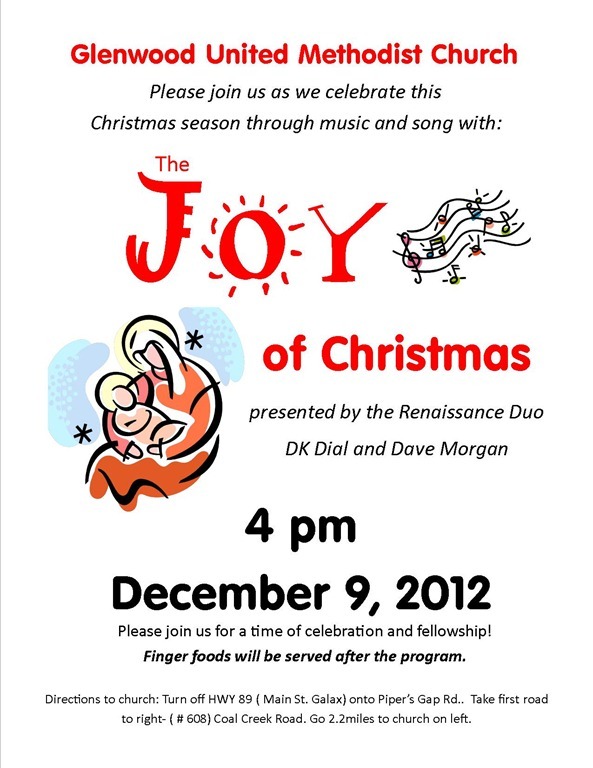 Joy, Peace, Hope, Love and Faith. 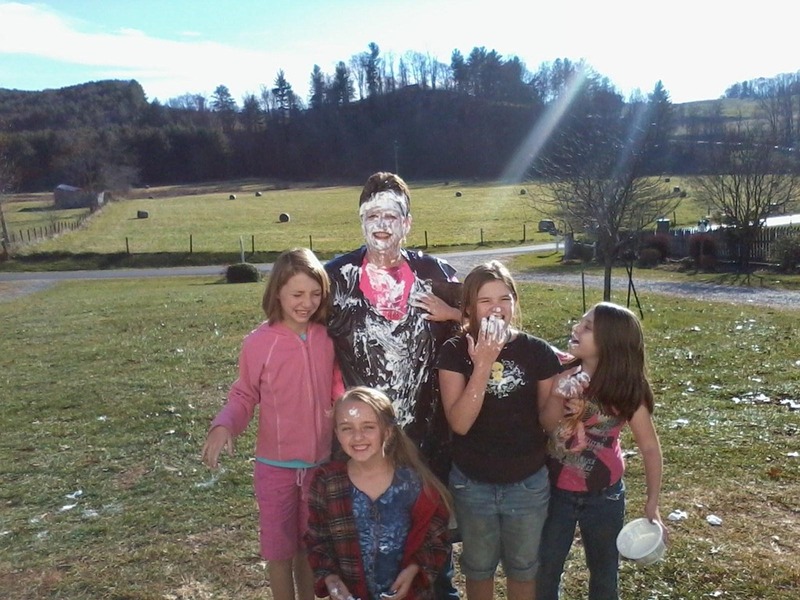 This is called DISCIPLESHIP and I am happy to eat whip cream for an eternal purpose! God works in mysterious ways-Amen? Amen! I met Amanda about 4 months ago give or take-gosh-it seems like longer! Anyway- we met at this little coffee place in Mt. Airy where she was singing and playing for the Lord. We’ve only seen each other once, but because we have technology and we are both Facebooker’s-we have built this beautiful relationship together with God as our guide. 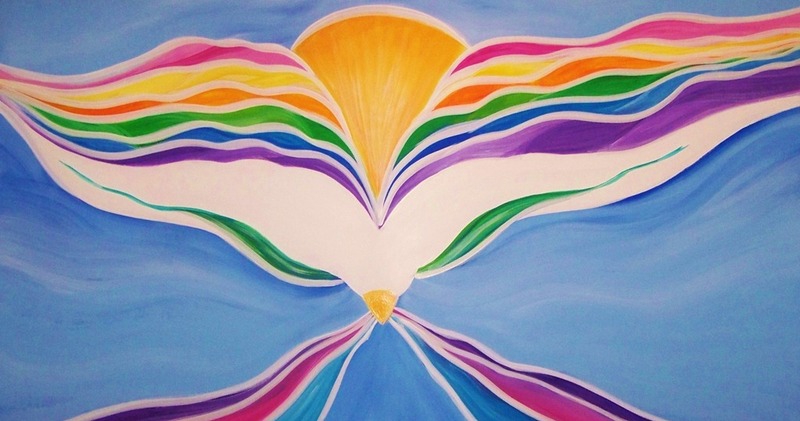 As the Holy Spirit leads us, we share our thoughts, ideas concerns and prayers with each other. I think we have each learned a lot about WHO God is by the other. Amanda has taught me what it means to live by faith in her daily walk. She has led by example and by love. A few days ago she was on mind and I began praying for her. Isn’t it funny how God can place someone, who you have only met one time,on your mind to pray for? When a person pops in your thoughts-just take a minute and send up a prayer for them. You may not know why-but God does. Then let them know you’ve prayed for them. This is what happened to us. When I got home that evening I sent her a FB message and told her she was in my thoughts and prayers earlier in the day. She sent me a message back telling me she had needed them and why. 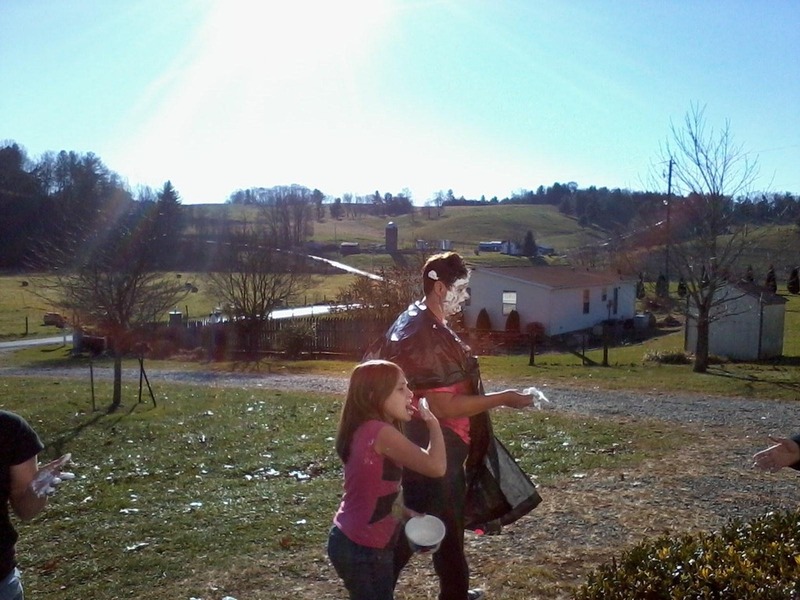 While I had no idea that Amanda was in the middle of one of the hardest things she has ever had to do-God did. I can’t share that with you-but please believe and know in your heart of hearts-that God truly does put people in our thoughts so we will pray for them. We are someone else’s intercessor-someone who steps in and says “hey God, I hear the cry, I’m lifting Amanda up to you right now.” You don’t need a lengthy dissertation filled with Thees and Thous to talk to God. Just TALK. He longs to know that we hear Him. He is jealous and furious for our love. It works both ways. Amanda has prayed for me many times and I have felt the power of God working through her prayers and I give thanks for ears that hear and mouths that speak. Amanda is a prophetic singer and plays with the band “ Miracle-Made” and if you haven’t heard them- find out where they are playing and GO! I am praying for an opportunity for us to work together through music and art. I see God working through both of us- to bring us together to do something for Him. This morning I got the sweetest drawing from Amanda on FB. From Amanda: This is for you- It’s been forever since I’ve drawn, I can tell I haven’t drawn in a long time….like years but I want to start again. Thanks for your inspiration. 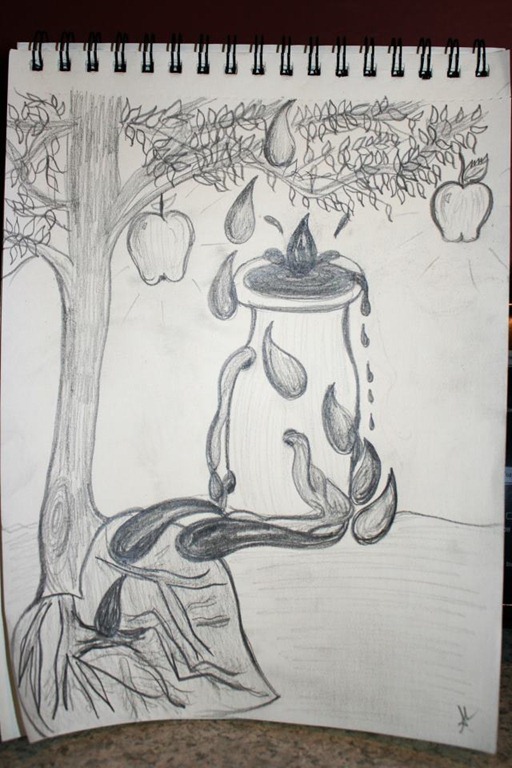 I saw these drops coming from heaven and filling this vessel, and flowing around this vessel….infilled, entwined, overflowing with glory….giving life to this heart and producing ENORMOUS fruit! Praise God!!! God is doing a work! I want to give GOD the GLORY for what I see Him doing via technology. He has brought two people together ( and thousands of others) to give testimony to His great works. He has brought two people together to learn from each other, to grow and to share HIM with the world and we are able to do this through FB. In the past 6 months I have met people from around the world and my friend list has grown tremendously. Some of these people I may never “see” in person-but I see them here and we talk about God. They teach me how to walk this road to redemption, they teach me WHO God is and they PRAY with me and for me and I do the same for them. We have all witnessed the working of the Holy Spirit. Technology is a tool for people to get to know each other, keep in touch, and just share our lives. We are the ones who CHOOSE how to use it and when we choose to use it for God- then more of the world will see, hear and know WHO God is. We are here to make the invisible God VISIBLE. We are called to be a HOLY and LIVING sacrifice and when we choose to keep our “stuff” Holy- God will be glorified. Today was our first day together with the kids as a group…. One of the things we did was to have the kids memorize my favorite verse- Phil 4:13. I quote it often.I told them if they could memorize it then each of them would have a turn at “pieing” me with a plate of cool whip! Oh they loved that idea and “ate” it right up! Every kid memorized it and guess who ate the most cool whip? 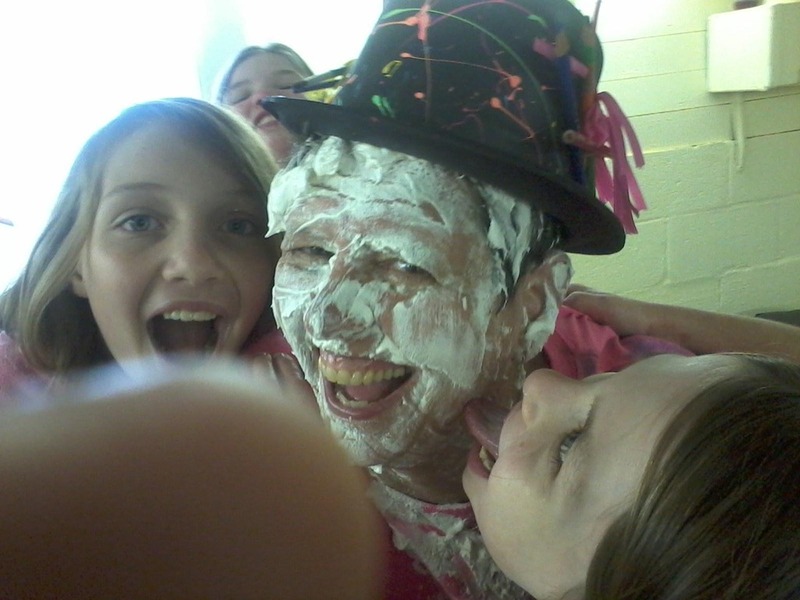 LOL We had a lot of fun and we also named our group-“The Follower’s” –read John 14 and find out why! I love these kids and love what God is doing! I am blessed to be a part of their lives. Thank you Jesus! 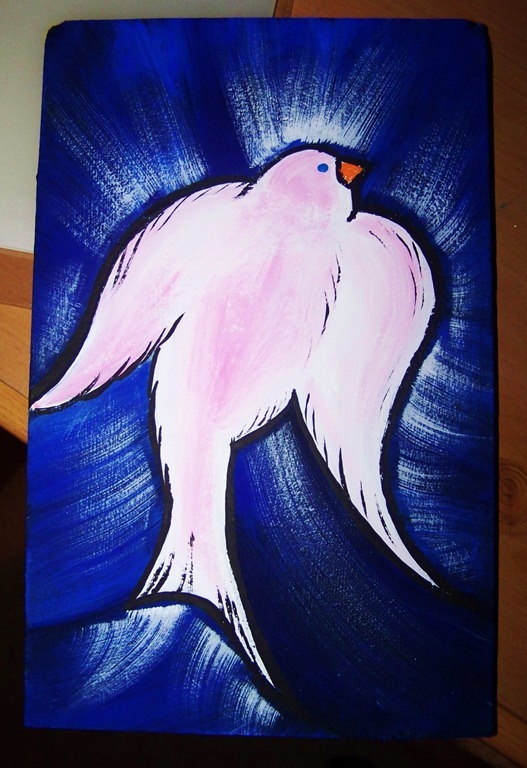 This is the 4th Holy Spirit dove I’ve painted in the past few weeks. 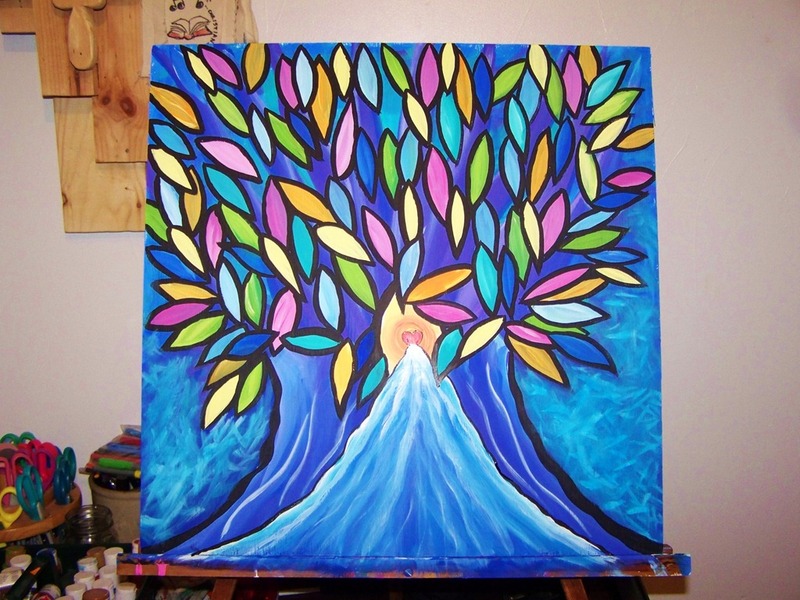 I thought of my friend Karen while doing this one…she’s a cancer survivor-thanks be to God! She is the Holy Ghost poster child for Philippians 4:13 . Love you girl! Ask, using my name, and you will receive, and you will have abundant joy. When we rest in the Presence of our Heavenly Father- He takes care of us, as we read in Psalm 91. When we completely trust in Him-He brings us to a point of peace that passes all understanding. We cannot comprehend this peace with our human minds. It is like this incredible sense of calm. It’s hard to put into words. “ I want to give you these things, I’m right here, looking right at you, look up! Blessings and prayers to all my readers…I pray that your heart is open to receiving ALL that God has for you today…just look up! This is how my heart feels…it weaves in and out between joy and peace and harmony with God. Everything is brighter, fuller and my perception has heightened. I see things I would normally overlook. Like today ….This morning as I left home I saw this horse with his lips peeled back- teeth showing, mouth open, neck arched, and head held high-he was whinnying into the heavens….I have never seen anything quite like that before-it made me grin and praise the Lord a little louder. He reminded me of someone blowing a trumpet…and trumpets remind me of Jesus and the day he will call us home…All of creation is crying out to it’s Creator…even horses! 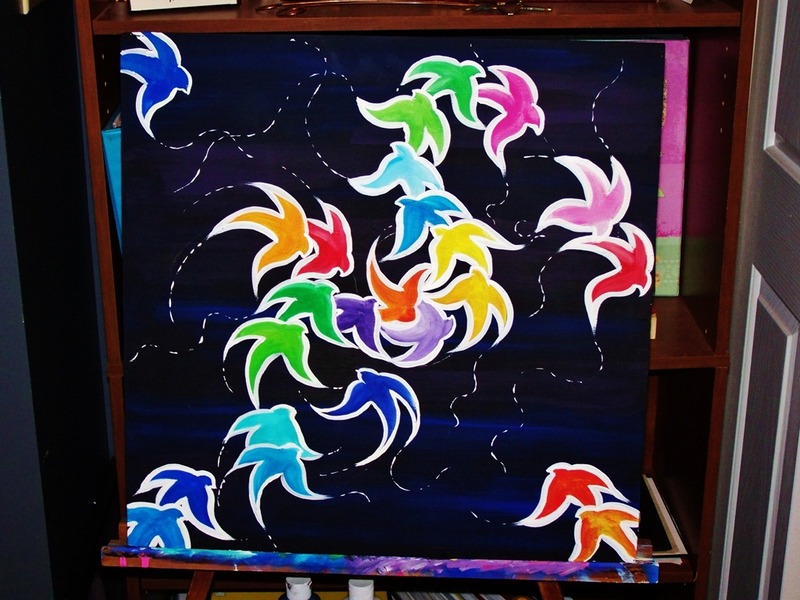 I’m calling this one the dance of the Holy Spirit…. My art has revolved. I used to do strictly black and white. Then I graduated to some color with colored pencils and now I have a heart full of the colors of heaven and every week-several times a week-sometimes into the wee hours of the morning-I paint. It’s become an expression of my love for the Lord. 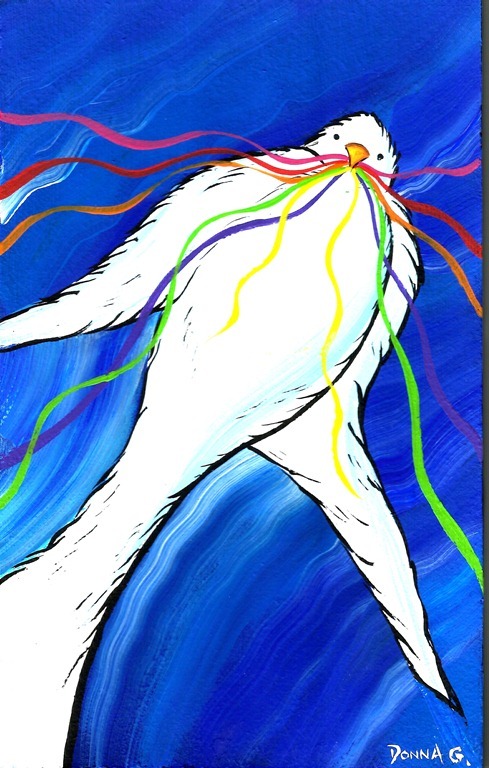 It is part of my worship through art. We are called to Love the Lord with all our heart, mind, soul and strength and this is part of what it means. To create. 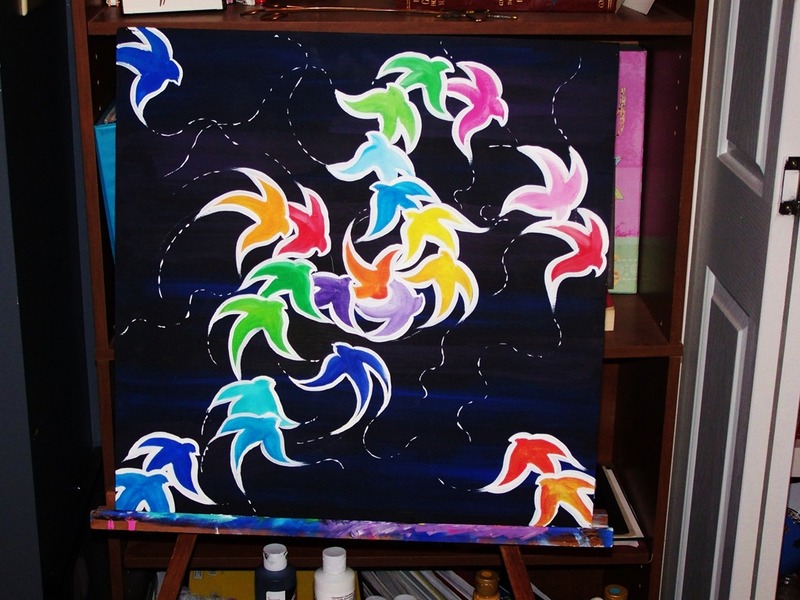 To express your love for God on the canvas. Mine has exploded-I was told to expect the unexpected and I now understand what that means! I have decided today that my style is sort of folk art and for once in my life I am totally comfortable with who I have become as an artist. Wow. What a switch. Not that I am Picasso or Renoir- but that I am comfortable in my skin-the skin that God clothed me. THAT’S a miracle! I am definitely not Norman Rockwell. If there is anyone reading this and you need encouragement in discovering WHO you are as an artist- ask the Creator of Heaven of earth to show you. Cry out to Him for guidance and revelation-and you better hang on and be prepared to receive it because that’s what He wants- to give it to you! I never imagined that stepping into pulpit ministry would cause this messy, wonderful, color filled explosion in my heart. There are no words. What you see on the canvas comes from the deepest part of my heart the place where words are not needed. It is my prayer that what people see will somehow encourage, lift up and edify them in their time of need. Art is such a vital part of life. Our Father in heaven is the Master Artist of all-just take a look around and give thanks to God for all that He has filled this earth with…and then REJOICE and WORSHIP HIM! This song expresses it well-there’s a joy in loving You….